Do you know the story of the first Christmas, the entire story, not just what you have seen on Christmas specials or heard in Christmas hymns? Take a few minutes each day for the next 40 days to read about the events leading up to this holiest of nights. 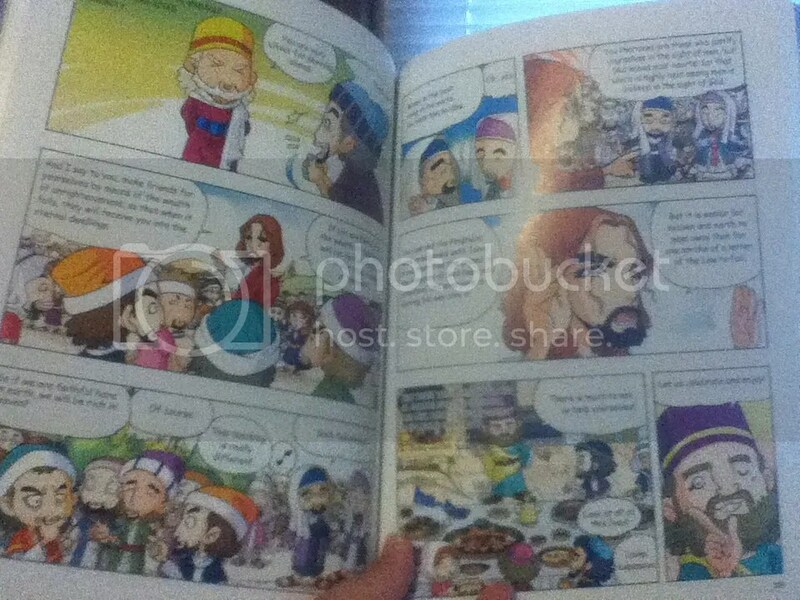 Meet the people who were there, Elizabeth, Zachariah, the Angel Gabriel, Mary and Joseph. Travel across the Judean countryside to Nazareth and on to Bethlehem. Witness the birth of Jesus as you never have before. Spend 40 days strengthening your faith. Spend 40 days drawing closer to God. Spend 40 days getting to know your Savior Jesus Christ. As I was growing up, I dreamed of accomplishing two things with my life: write a book and change the world. You might think that the book was the easy part, but who can change the world? While I was publishing my memoir of my mission trip to Kenya, “A Time for Every Purpose Under Heaven”, that I realized my dream of changing the world is not so foolish. Like every item on anyone’s bucket list, this too could someday be crossed off my list. I have come to realize that to change the world means to change one person’s world. My daughter and I returned to Kenya in the spring of 2013 and while there met many more men, women and children who need positive change in their lives. My daughter began working on a nonprofit organization to help these people, to empower them and improve their way of life. Tumaini Volunteers, Inc., was born and remains a work in progress. In addition to my writing and involvement with Tumaini Volunteers, I work fulltime in the medical field, mentor a Kinship kid, mentor my church’s college students, and sponsor a Compassion child. 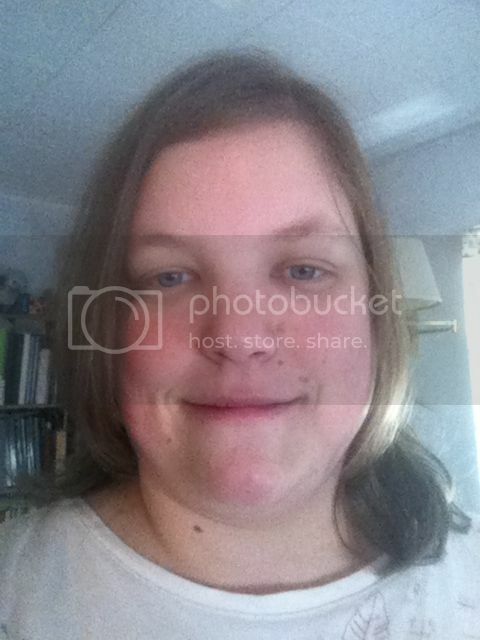 I am not anyone special, but I now know that change is possible. The world can be a better place. We just need to get out there and do the work that God has given us to do. I know it’s late and I’m so sorry about that – life happened and so this got put on the back burner along with some other things. If you’re looking for a short but meaningful devotional for the Christmas season then The Christmas Story in 40 Days is definitely one that I would recommend. It is suggested that in order to finish by Christmas Eve to begin this devotional on November 15th, and if you buy it now you’ll have plenty of time when November rolls around again. I also want to note that the Bible passage given at the beginning of each day’s reading is from The Message: The Bible in Contemporary Language. I don’t like to use The Message but it isn’t hard and doesn’t add any time to grab my own Bible and read the passage listed. Each devotion takes five minutes or less unless you want to go deeper or you use the notes section to make your own notations – it can be used as you see fit for your or your families needs. There is no denominational bend so just about anyone who is Christian can use this devotional through the Christmas season, of course we should always remember Christ’s birth and His death and resurrection every day so maybe this shouldn’t be just a ‘Christmas’ devotional. I like that while the readings are short, they are also deep and meaningful and really help one focus on Christ’s coming and what all that entailed both then and now. Please check out what other bloggers thought at Aneko Press’ Link-up. John Wallace recognizes that the devout Latter-day Saint is unlikely to ever read his new book Starting at the Finish Line: The Gospel of Grace for Mormons (Pomona House Publishing LLC June 2014). In fact, they are prohibited from doing so! But even if they did, the book’s central message of salvation by faith alone in the completed work of Christ would likely seem overly simplistic and terribly inadequate to them. This is unfortunate and is the cause of much frustration for both the Christian who just cannot seem to “get through” to his or her LDS loved one and to the Mormon who feels insulted that someone should feel the need to “save” them. Realistically, Starting at the Finish Line is for three groups of people: 1) The “cultural Mormon” who values the benefits of belonging to the LDS church, but secretly doesn’t fully believe in the Joseph Smith/Moroni/gold plates narrative (or in any of a number of difficult doctrines). 2) Those that have already left the Mormon faith, but aren’t sure where to turn. These people often feel lost and untethered in this world, often concluding that if Mormonism isn’t true, then nothing is. 3) The Christian who desperately wants to better understand the Mormon mindset, if for no other reason but to know how to dialogue with them. Starting at the Finish Line seeks to reveal three primary truths to its reader. 1) The Bible is the Word of God. It is trustworthy in its translation and transmission over the many centuries and is authoritative in terms of leading people into a saving relationship with Christ. 2) Christ purchased mankind’s salvation with his precious blood on the cross of Calvary. This is the work of salvation and no other work remains than for people to receive the free gift by faith. 3) Any attempt to contribute or “add to” Christ’s work on the cross is an offense to God and demonstrates a lack of faith in the sufficiency of Christ’s redeeming blood. As Paul so bluntly wrote to the Galatians, attempts to gain salvation through works sever people from God’s grace and place them in the unenviable position of obeying the law perfectly in order to enter God’s kingdom. By sharing his own personal journey, Wallace ultimately demonstrates the incomparable joy of emerging from a religion of works into a relationship with Christ that is based on acceptance and freedom. He further explores the mystery of what it means to be “born again,” inviting the Latter-day Saint to faith in Christ alone, explaining that good works are but natural by-products of the indwelling Holy Spirit – the same Spirit who gives the believer assurance that their salvation is indeed secure in Christ. Good news indeed and cause for great celebration! 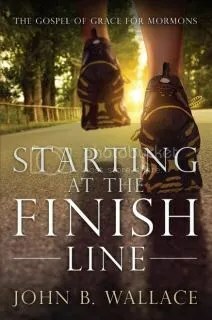 You can learn more about the book at Starting at the Finish Line. Having family and friends that are Mormon has me wanting to understand how they believe, what their faith entails and how it is so different from my Christian walk that I knew I wanted to read John B. Wallace’s book about the Gospel of Grace for Mormons in Starting at the Finish Line. I’ve known for awhile that Mormons don’t believe in Jesus Christ as other Christians do, that He is the Savior came to save us all by His work on the Cross and His Resurrection. I also know how easy it is to get things muddled and forget what He did and think we need to add to it or somehow feel that we aren’t good enough and so we must work and work at earning our Salvation. However, if you pick up this book, this isn’t so much about their doctrine and their adding to the Holy Bible through the Book of Mormon but more on how a devout Mormon can find freedom in accepting Christ’s sacrifice, not partially, but fully embracing the work He did for us. I would desire that all my Mormon friends and family read this book, but as it says in the description even the author recognizes that they more than likely won’t and so it’s up to as Christians to read it so we can learn how best to minister to those who are open to the truth by using what they’ve been taught and showing them through the Bible how it is really is. While Mormons believe they are Christians, John shows the reader why that isn’t true and even that Mormons teach they are the only true church – so why would they want to be a Christian? This wasn’t a quick read and it took me about a week or so to read the whole book as some of it was heavy and needed quite a bit of brain power to digest, and even then some of it I still could go back and re-read again to really get it. Overall, this is a great book for those questioning their Mormon faith or for those who want to minister to a Mormon in their life and show them the Gospel of Grace. If you were to ask God how to best be of service in a troubled world and the answer you received was to “Sell all you have and give it to the poor”, could you – would you – do it? Could you really sell everything you own, leave your home and well-established life behind, and travel halfway around the world to live in a country best known for its civil wars and extreme poverty? Most of us, in all probability, could or would not. But that wasn’t the case for Dennis and Lillian Klepp, a Wisconsin couple who asked the question, received the answer and then stepped out in faith to do exactly what they felt God was asking them to do. Their massive step of faith began in 1999, after Lillian heard a speaker talk about the plight of orphans and widows in Sudan. A short two years later, the couple said goodbye to friends and family and headed to the war-torn African nation to devote their lives to serving God. They have been there ever since, establishing orphanages, schools and health care centers and bringing hope to those who need it most. 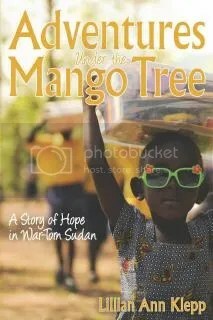 In her new book, Adventures Under the Mango Tree: A Story of Hope in War Torn Sudan, (Creative Enterprises Studio, June 2014) Lillian, or, as she is more affectionately known, Mama Lilly, chronicles the couple’s amazing story of faith, sacrifice and obedience as they endeavor to follow Christ­­­­­. That complete trust has been repeatedly tested in the years since their move to Sudan. From Lillian’s initial fear of sleeping in a rat-infested room her first night in her new Sudanese home; to frantic moments spent trying to keep the orphans in their care quiet during the wee hours of the night as war raged around them; and fear that the flight needed to take Dennis back to America after suffering a heart attack might come too late, Lillian has placed her trust in her Heavenly Father repeatedly and, each time, that trust has seen them through. Together she and Dennis have worked tirelessly, building their non-profit Christ-based organization, Harvesters Reaching the Nations, from its humble beginnings to a burgeoning outreach serving more than 190 orphans in two locations in what is now South Sudan and providing a Christian education to over 500 students including more than 400 children from surrounding villages. Lillian’s forthright, honest and often humorous accounting of their experience gives readers a firsthand look at what it takes to leave a life of relative ease behind and travel to the ends of the earth to spread the gospel. While it is a must read for every person contemplating work in the mission field, Adventures Under the Mango Tree offers all readers an insightful glimpse into a world few can even fathom. More importantly, through Lillian’s humbling and unique story, we are shown the extraordinary power of a loving God who enables his faithful servants to shine a light in one of the darkest corners of the world. For more information about Pastor Dennis and Mama Lilly Klepp and Harvesters Reaching the Nations, the Christ-centered organization the couple began in 2001 to provide discipleship, education and health care to vulnerable women and children living in remote regions of the world, please visit their website at http://www.hrtn.org. 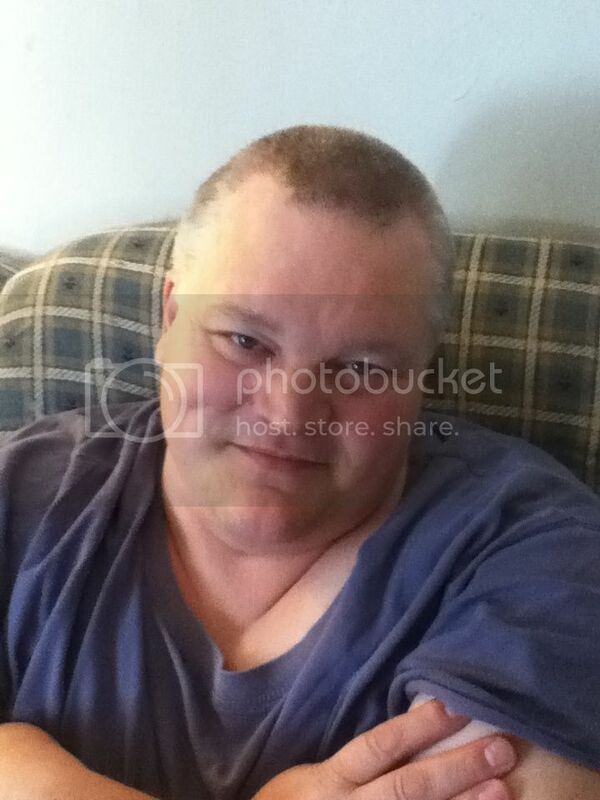 You can find out how to purchase by going to the website. Sometimes there are books that change the way you think and feel and that is what I’d say about Adventures Under the Mango Tree – I’ve stated here before that I enjoy reading books that are written about and by missionaries, especially those that deal with children and Lillian Ann Klepp pulled me in right away to her story. She starts by giving some background information on her and her husband’s family and their early years of marriage, the first chapter spans the years of 1954 to 1980 – and gave me a glimpse of what they were like before they were Christians. This is the story of missionaries but also a testimony of how God does and will work in those lives that turn themselves over to Him and His Lordship, that is what makes this so powerful, I believe. When you’ve grown up in a Christian in name only or even in a non-Christian home, your past likely contains skeletons that you want to hide and will think that makes you unwanted by God, but He chases you and He will forgive and He will do a good work through even the most depraved of sinners if given the chance. I know I was there too. As Lillian dedicates time to fasting and prayer, the Lord begins to call her to mission work and she eventually tells her husband, Dennis, they need to go to the Sudan – he of course is slightly shocked and needed time to also let the Lord speak to him. He eventually agrees and the Klepps set out to go to the Sudan – even against the words of friends who insist they should go with an established ministry but the Lord is telling Lillian and Dennis to start their own. As they arrive they have nothing but as the Lord moves they eventually are able to set up a school, an orphanage, medical facilities in not one location but two! It’s awesome how when the Lord calls and the person(s) He calls answers what can happen, even when it feels like things are falling apart – the Sudan isn’t very welcoming to outsiders. In fact in order to adopt from the Sudan one must establish residency for three years prior to the adoption taking place! I highly recommend this book to those who enjoy reading missionary stories or testimonies – as the back of the book says “What can one ordinary person do? Read this astonishing memoir and you’ll see. Then perhaps you, too, can step out in faith for the sake of the gospel.” So if you aren’t sure if you can step out in faith and let the Lord lead you, this book will have your heart and mind wondering you can do – I know I lack in praying and I’ve never fasted but I wonder what blessings and callings I’ve missed out on by not being strong in these areas. While many doubt that the Lord still moves through His Spirit either in miracles through protection or through the physical healing of ailments, this book can put these doubts to rest if you read it with an open mind and let the Spirit lead you. Did God instruct the human race to be His caretakers over nature? If so, is environmental exploitation disobedience to God? Is it true, as many critics claim, that Christianity is the root cause of today’s environmental problems–or are all religions and cultures responsible? How should the church respond? Writing with easy-to-understand, nontechnical language, the author provides a powerful rebuttal to critics who claim Christianity is anti-environmental. He urges Christians–especially high school and college students–to embrace the tremendous evangelistic opportunities that exist in the environment debate. In a time when Christians are becoming increasingly aware of the seriousness of today’s environmental and ecological problems and want the church to become more informed and engaged in confronting these issues, this book is the perfect introduction to this timely topic. I’m very much in agreement with the author that as Christians, we do need to take care of God’s creation as He did put us in charge – but I too see how the ‘left’ has turned environmentalism as a cross to die on, figuratively speaking. I don’t like being told by those that I should only use one square of toilet paper or that by having more than 1.2 children I’m somehow polluting and killing our world. The author states that with technology most people today, especially children, don’t get into nature enough or learn to appreciate it. I don’t see technology as being the ‘bad guy’ but it’s ultimately the person’s fault to not want to be involved in anything past their gadget or game. Should Christians care for the earth? Yes. Do we have to label ourselves as environmentalists? No. 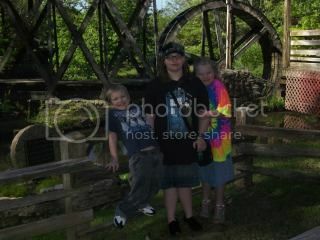 I love to take hikes and get my children out with me, especially in the fall which is my favorite season, and we leave our Kindles and iPods (except for when I need pictures for our portfolios) at home. I do little things such as composting food scraps, hanging laundry out, and other small things but I don’t see myself as an environmentalist – to me it’s about saving money cutting back on our use of electricity so that our bill isn’t so high, but some I guess could see it as an environmental thing too. 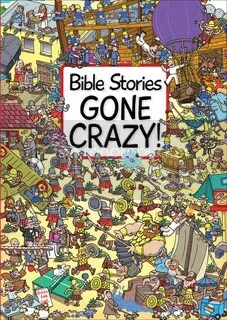 I was really hoping for some new revelation in reading this book but it just didn’t come to me. At some points I saw what seemed like anger in some of the commentary about how the church isn’t doing enough and while I don’t think that was the author’s intent, that was how I perceived it. There was also some rather dry points that I found it hard to get through – tell me why I should be an environmentalist, I don’t need to know the liberal side as I hear it every time I turn on the T.V. 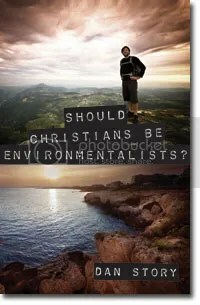 For me it was a lot of back and forth as to why Christians should be environmentalists even though most of the groups that support these endeavors go against everything a Christian should stand for. Parts of the book were really interesting and held my attention but others I could have just skipped over. 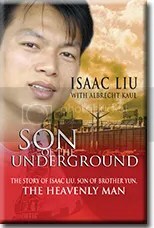 Son of the Underground is a beautiful story of struggle, hope, and the ability of faith to overcome obstacles. Not only is it the story of the coming to faith of a Chinese boy, one whose life was already made more difficult by the role that faith had played in his early life, but it exposes the struggles of an entire nation of believers who have made the dangerous commitment to a life of Christ. This book needs to be read by every Christian who doesn’t understand fully what persecution is or what it looks like. We need to be able to know what our Chinese Brothers and Sisters are going through as they literally live and die for Christ – which is something we don’t know in our freedom in the United States. When you begin the book you are introduced to life from Isaac’s little boy eyes, where his father is absent through no fault of his own and where his mom has to work in the fields all day. He learns early on that his faith is the only thing that he has that will not change from day to day. I devoured this book in a day – I could feel the passion and the hurt as his family ran for their lives and the worry of who may be spying on them to the Chinese government. There are some things that we only hear of but reading about it from a first hand account, such as what happens to women who refuse to abort their babies, will have you reaching for the box of tissues. There is sadness in the pages but there is also hope, hope for things not seen and hope for better things to happen – and believing in God is what that hope is pinned on and that resonates within these pages as well. If you desire to learn more about what is going on to the Chinese Christians this book is a great place to start, one cannot deny a first hand account of the atrocities that the Chinese go through. You’ll be inspired in how you can pray to help them be strengthened by the Holy Spirit among other ways to help by visiting the website listed at the back of the book. At first I was going to let my 10 year old read this but after finishing it I know she isn’t ready for the whole story of persecution but this would make a good study for the older child. **Disclaimer: I was provided a copy of this book from Kregel Publications in exchange for my honest review, no other compensation was given.